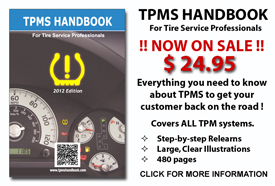 Get your copy of TPMS Handbook today! AlignmentSpecs.com!...for ALL of your Alignment Data needs! The 2017 Wheel Alignment Guide is shipping NOW! SECURE online ordering! Get your copy TODAY! Available Now! CD-SPECS - Wheel Alignment Guides on CD! Learn more about this Convenient New Format! GO ONLINE with eSPECS! Wheel Alignment Data Service. You're Already Online...Why not get your Alignment Specs ONLINE too? Get the Details on this Great New Service! At AlignmentSpecs.com, we're all about providing accurate and complete wheel alignment specs, ball joint specs, chassis/suspension height specs, and other auto service data necesary to service your customer's vehicle, or your own. 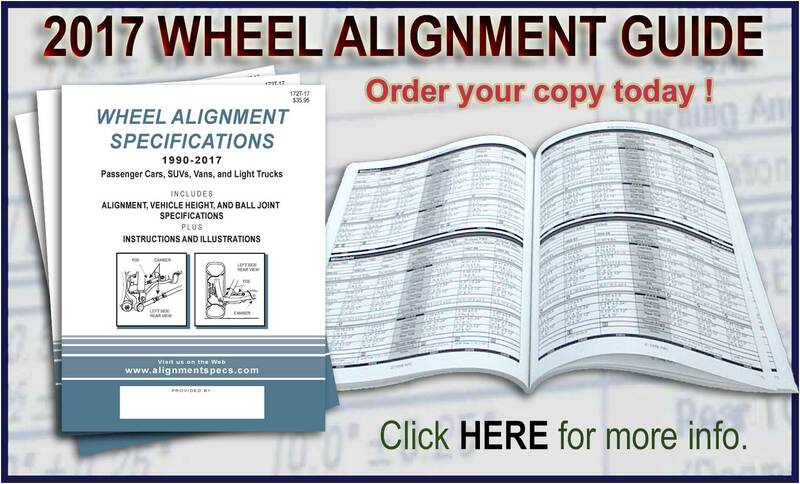 On these pages you can learn about and purchase our wheel alignment data products, including our Industry Standard wheel alignment spec books, Spec CDs, and our online wheel alignment data service called eSPECS. With eSPECS you have 24/7 access to the largest and most complete database of wheel alignment specifications anywhere. Got a classic old Camaro or Mustang on the alignment rack, but no specs? Have a Visualiner or a C111, D111, or H111 aligner with an outdated spec set ? No Problem! You're still in business with eSpecs! You can subscribe here for only $49.97 and get the wheel alignment specifications you need right now!